The Engaging Learning Network (ELN) comprises 24 investigators from 15 institutions: 10 neuroscientists, 9 rehabilitation researchers, and 5 computer scientists/game designers, and as such, brings together research communities which are traditionally distinct. Collaborations will be built through an annual scientific meeting, seed projects, graduate student exchanges, and a web portal. The goal is to promote multi-disciplinary research and to extend and apply the neuroscience of learning through games that enchant a diversity of players while enhancing their sensory, motor, and/or cognitive function. 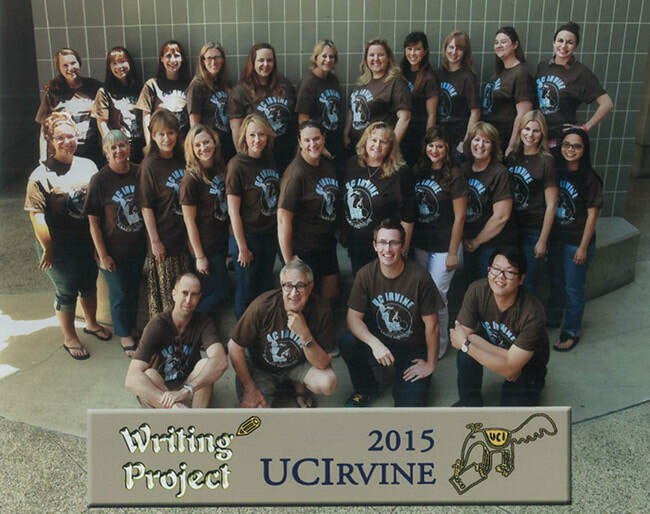 The UCI Writing Project offered three distinct programs this summer for area teachers and youth from around the world. The Summer Youth Program, now in its 31st year, offered preK-12 youth morning writing workshops, early afternoon science classes, and a choice of late afternoon art or sports and fitness. For the writing workshops, California-certified teachers trained in Writing Project strategies helped students improve their reading and writing abilities as identified in the Common Core State Standards. A SAT Preparatory Class was offered for grades 10-12. The Summer Youth program is specifically designed to be challenging, informative, engaging, and fun. Over 1400 young people, including students who traveled from China, Japan, and Korea to improve their English language skills, attended one or more of the six three-week sessions. Twenty-five teachers participated in the Summer Institute for Teachers, an intensive four-week, 100-hour seminar for veteran teachers in the field. The Institute, initiated in 1978, has been designed to help elementary through university-level teachers develop techniques for teaching listening, speaking, reading, writing, and critical thinking to their students. Upon completion of the Institute, participants are qualified to impart what they have learned to other teachers via in-service workshops. The 25 summer 2015 participants have joined the group of 800+ teachers from 85 school districts and 12 colleges and universities who are Summer Institute graduates. Forty teachers participated in the Writing Project's two-week staff development on the Common Core: Six Traits for Writing. ​The next UCIWP event for area educators will be the 22nd Annual Conference for Teachers, planned for December 2015. Faculty from the SoE Teacher Education Program, with sponsorship from SchoolsFirst Federal Credit Union, hosted a July Forum for educational administrators, department chairs, induction support providers, and other education leaders to explore ways in which university-school collaboration can support teacher learning and growth from pre-service, to induction, and beyond. Titled "Collaborating to Support the Trajectory of Teacher Learning," the two-day forum featured the following presentations interspersed with whole group and small group conversations. The July Forum was developed in response to growing awareness that schools of education, induction programs, and district and school administrators need to work together to construct a coherent system of ongoing teacher development. The Forum provided an opportunity for the UCI faculty to share their efforts to improve the quality of teaching by working with teachers and teacher leaders and to learn about related efforts underway in area districts and schools. ​CalTeach 2015: "Back to School Kickoff"
UC Irvine CalTeach hosted a dinner and networking event for alumni on August 11th. The event was designed to encourage collaboration among program graduates. Following the opening welcome and dinner, CalTeach Master Teachers Kris Houston and Terry Shanahan solicited alumni responses to three questions, explaining that alumni responses are considered valuable for ongoing evaluation of program structure and alumni support. How has CalTeach prepared you for a career in teaching? What improvements to CalTeach would have prepared your better? How can CalTeach support your career? Two CalTeach alumni (2013) then shared their experiences and instructional strategies. Andrew Knauft: "Digital Assessment Presentation"
Financial planner Scott Hadley provided an overview of financial issues teachers early in their career should be considering, and the SchoolsFirst representative summarized the credit union program available to educators. The alumni event closed with a drawing for various classroom items and distribution of goodie bags filled with teaching support materials. The UCI CalTeach program offers undergraduates an opportunity to earn a STEM degree plus a teacher credential, both in four years. The program is jointly sponsored by the School of Biological Sciences, School of Physical Sciences, and School of Education. UCI has graduated 123 B.A. in Education Sciences majors at the end of the first year of offering this new undergraduate degree that promotes the study of education as an academic discipline. The 2015 graduates represent a diversity of career options, including student affairs administration, counseling, museum education, human resources, social work, Montessori teaching, digital media, out-of-school learning, applied behavior analysis therapy, and K-12 education. Several of the 2015 graduates opted to double-major as a way of enhancing their employment opportunities. On June 13, the School of Education hosted a commencement-day breakfast to honor the program’s 15 inaugural honors graduates. UCI’s BA in Education Sciences is one of the university’s most diverse programs. Among the students declaring an Education Sciences majors, 48% are from minority groups typically not represented in higher education, and 70% are first-generation college students.